For images of the exhibition, please scroll down. Barbara Davis Gallery is pleased to announce the opening of the exhibition Six Apart: Sara Bichão, Daniel McFarlane, Edward Schexnayder, Ruth Shouval, Troy Stanley, Jon Swindler, on Saturday, July 14, 2012, with an open house from 12:00pm - 5:00pm and an artist’s reception from 6:30pm - 8:30pm. Six Apart includes paintings, sculpture, and works on paper by recent Residency Unlimited alumni Sara Bichão and Edward Schexnayder, PrintHouston artists Ruth Shouval and Jon Swindler, and Houston-based artists Daniel McFarlane and Troy Stanley. Six Apart runs from July 14, 2012 - August 25, 2012. Sara Bichão works in a number of materials combining painting and drawing. She has developed a series of hybrid objects that are unconventionally shaped with cement and juxtaposed with very thin layers of paint and delicate drawing. In her practice, Bichão looks to construct images with symbolic meaning where poetry’s ancestral rhythm comes together with personal idiosyncrasies. Click here to see Sara's CV and more examples of her work. Daniel McFarlane’s latest body of work continues his exploration of abstraction through a tenuous balance of improvisation and control. The brilliantly toned paintings describe moments of encounter between amorphous forms and rigid structures. The forms, which seemingly drip and ooze of their own accord, are actually carefully cultivated and painstakingly transplanted while the dimensional structures with which they interact are created in a trompe l’oeil fashion. McFarlane’s exploration of color, shape, texture, and superimposition yield paintings of highly charged, dynamic tension. Click here to see Daniel's CV and more examples of his work. Edward Schexnayder’s work is derived from an interest in marginalized strains of modernism, the mythic structures of reification, and a formalist critique of the readymade. His current wall-mounted sculptures explore aspects of folk traditions that influenced and responded to modernist ideals. Click here to see Edward's CV and more examples of his work. Ruth Shouval seeks to give up control and allow chaos to reign in her works on paper by allowing random forces to intervene. Using the symbol of the home Shouval describes the patterns of our lives. Each diptych consists of a whole and intact house alongside a fractured one mimicking the vacillation between calm and chaos. Click here to see Ruth's CV and more examples of her work. Troy Stanley uses science and technology to create works to ultimately remind us of nature. His “Infinity Boxes” are interactive sculptures that utilize two way mirrors to create infinite spaces of urban landscapes. By placing blocks upon each other and at certain points on the specially fabricated shelf encourages exploration and reveals the interior landscapes. 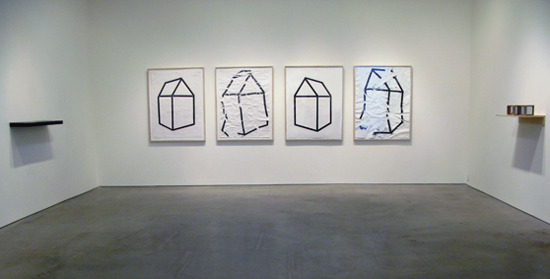 Jon Swindler’s work is equal parts printmaking and installation. 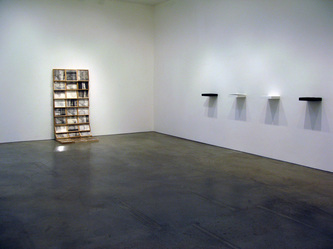 An essential by-product of Swindler’s practice is an abundance of printed and digital remnants, or visual “left-over’s”. Surfaces possessing this quality are continually re-printed and recycled. 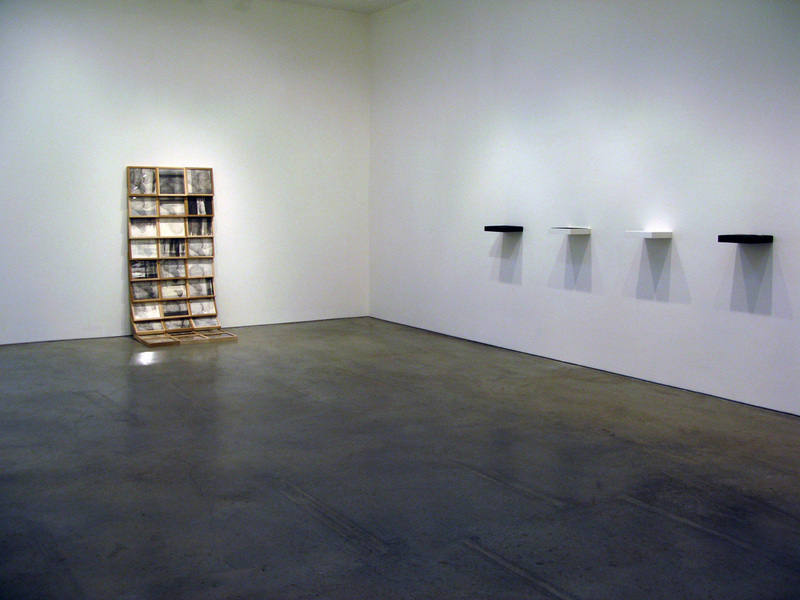 Swindler’s installations document the process of this accumulation. Click here to see Jon's CV and more examples of his work. 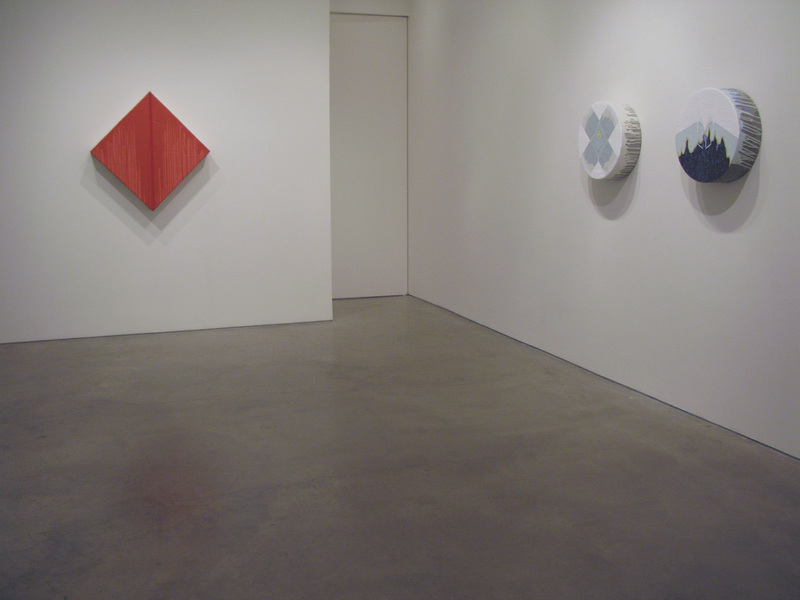 Six Apart: Sara Bichão, Edward Schexnayder, Ruth Shouval, Troy Stanley, Jon Swindler, opens on Saturday, July 14, 2012, with an open house from 12:00pm - 5:00pm and an artist’s reception from 6:30pm - 8:30pm. 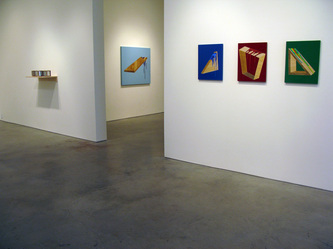 This exhibition is on view July 14, 2012 - August 25, 2012. For more information, please contact Barbara Davis Gallery at 713.520.9200 or info@barbaradavisgallery.com. Sara Bichão lives and works in Lisbon, Portugal. She is a 2012 Residency Unlimited alumnus. In 2011, she completed a Master in Fine Arts at the University of Lisbon. Considered one of the most promising artists of her generation in Portugal, Bichão won the BPI Bank Prize in 2008. In 2009, she was nominated for the “Anteciparte” competition and awarded the prestigious “Fidelidade Mundial Jovens Pintores” Prize. Edward Schexnayder is a Brooklyn, New York-based artist. He was born on the Navajo Indian Reservation and raised in Southern California and New Orleans, LA. He received his MFA from Pratt Institute and was a studio fellow in the Whitney Museum of American Art’s Independent Study Program. Edward has been a resident artist most recently with Residency Unlimited in New York as well as subsequent residencies with the Lower Manhattan Cultural Council and Art in General’s Eastern European Residency Program in Croatia. He was recently awarded a New York Foundation for the Arts artist fellowship. Edward has exhibited both nationally and internationally in various exhibitions. Ruth Shouval lives and works in Houston, Texas. She studied at the Bezalel Academy of Arts in Jerusalem, Israel, and received her Masters Degree from the Rhode Island School of Design, where she currently teaches for the summer. She was a recent participant in the 2nd PrintHouston Biennial. Troy Stanley is a sculptor living and working in Houston TX. He holds a BFA from the University of Houston and since that time has focused his practice on sculptural installations that involve participant interactivity both electronically and mechanically in large scale gallery installations. In 2007 he attended Skowhegan School of Painting and Sculpture on a full fellowship and since then has had his work exhibited throughout Texas and surrounding states. 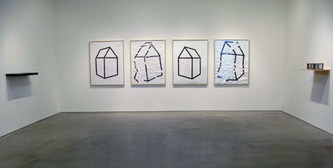 Jon Swindler is an artist and teacher based in Athens, Georgia, where he is a member of the Printmaking and Book Arts faculty in the Lamar Dodd School of Art at the University of Georgia. 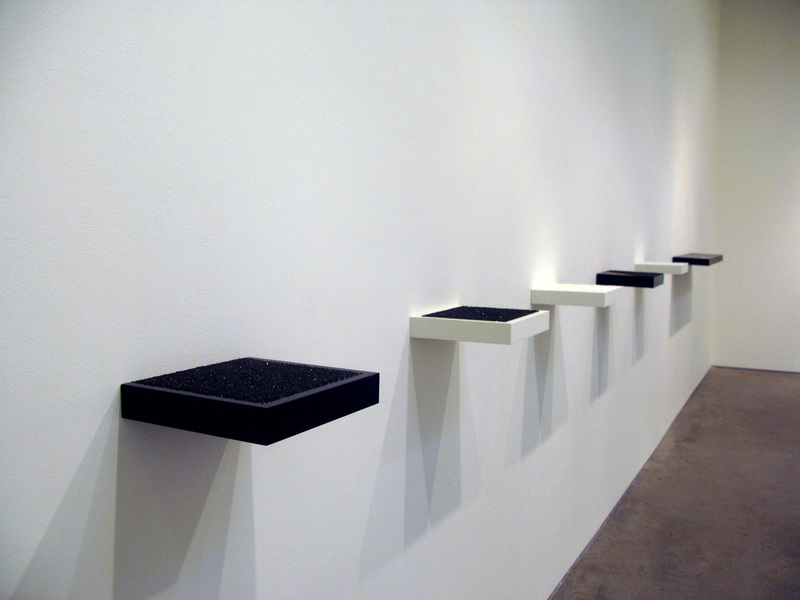 He received his MFA from School of Art and Design, Southern Illinois University, Carbondale, Illinois. Read Houston Chronicle's preview of the exhibition here.